Welcome to King's Tree Services Ltd. 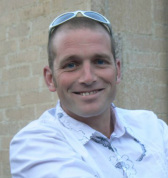 I'm Ben King and I've been providing tree services around the Cotswolds for over 8 years. Our business has grown by word of mouth over the years and we have many loyal customers who come back to us time and again. We have provided recent tree services to Tetbury Town Council, Malmesbury School and several large estates in Cirencester, Minchinhampton, Stroud and Nailsworth. You'll find our team of qualified tree specialists friendly, considerate and professional. We work to the highest standard, bring our specialist equipment to site with us, and always clear up after a job. We're always happy to take on one off projects or ongoing work to suit your requirements, so do give us a call if you'd like some advice or have a job you'd like a quote for.